Alpine brand is known for using high-quality components and materials. Overwhelmingly positive consumer feedback. 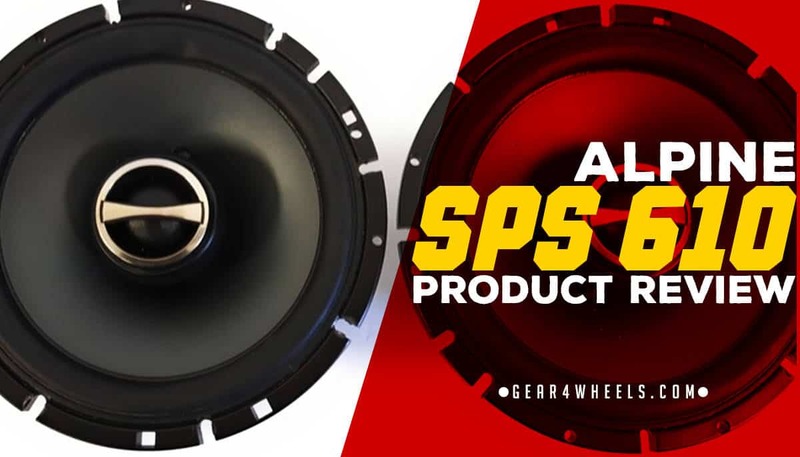 Coming in at the inexpensive range of the market, the Alpine SPS 610 is the perfect budget replacement for a weak or blown speaker. Lacking in bass, but otherwise clear quality audio in the mid and high ranges. Compatible with a range of grills. These speakers have a range of mounting options and can replace the stock speakers in a wide variety of vehicles. This review looks at the abovementioned Alpine SPS 610 in-car speakers, which are an inexpensive option that will fit into most vehicles on a variety of mounting options. We like this product not only for its price tag, but also for the formidable reputation for high-quality components and design that are attributed to the Alpine brand. 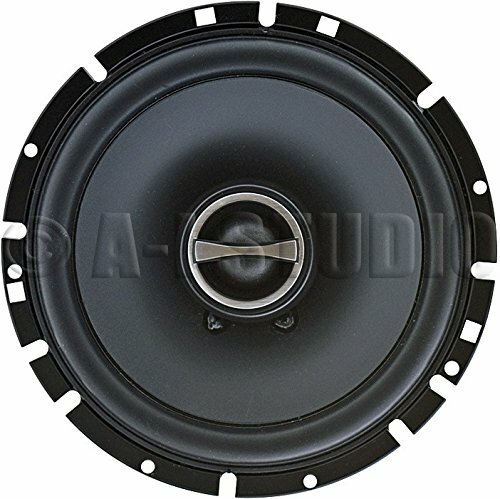 The Alpine SPS 610 is a pair of 6.5-inch, 2-way in-car coaxial speakers. They run at 240-watts peak power or 80-watts RMS power. These speakers have multiple size options tailored to fit a wide range of vehicle types and sizes. Each speaker measures 2.2 x 5 x 5 inches and the pair weigh a combined 4.9 pounds. They’re well-suited to mounting within a door behind a grill. 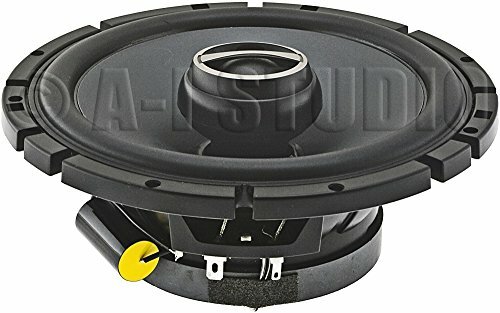 As an inexpensive option, this set of in-car speakers would be perfect for the motorist whose speakers have recently given out, but who does not require an extremely powerful sound system. Alternatively, they’re ideally suited for somebody who does not want to spend a great deal on their vehicle but requires something good enough to enjoy playing music during the drive. Since the product lacks any kind of powerful bass, they’re probably not well suited to somebody who wants the best possible sound system in their car. Though mid and high-range sounds are stunning, lower bass-driven music will be less impressive through these speakers. Finally, it's worth mentioning that these speakers are not particularly well-suited to use within the home. As automotive replacements they're at their best, but consumers have previously tried – and mostly failed – to use them as bookshelf speakers, for example. The incompatibility is usually due to the impedance rating. Out of the box, the buyer simply receives the 2 speaker units, but lacks any other accessories or mounting equipment. Some vehicles may require a bracket for example, and this would have to be purchased separately if required. However, it is worth noting that the speakers have pre-drilled holes; these allow for a wide range of mounting methods to be used with them, depending on the vehicle in which they're installed. These speakers feature a tuned poly-mica cone woofer design. The speakers come with a set of wires that are sufficiently long to run from the radio to the front cabin doors, though they are not particularly thick or durable, at around 18-gauge. Additionally, these speakers have an impedance rating of 4 ohms. The impedance is the resistance (or load) that is passed from the speaker to the amp; for most speakers, 4 ohms is sufficient, and stable. If a relatively low budget is at the forefront of your mind, then these speakers might be well-suited; they won’t cost an arm and a leg. Similarly, they can make a good replacement where a door speaker has given out in a vehicle and requires a simple replacement. However, for people who are more into their music, it’s worth noting that the bass in these speakers isn’t fantastic. In this case, you may be better off with a more substantial product.